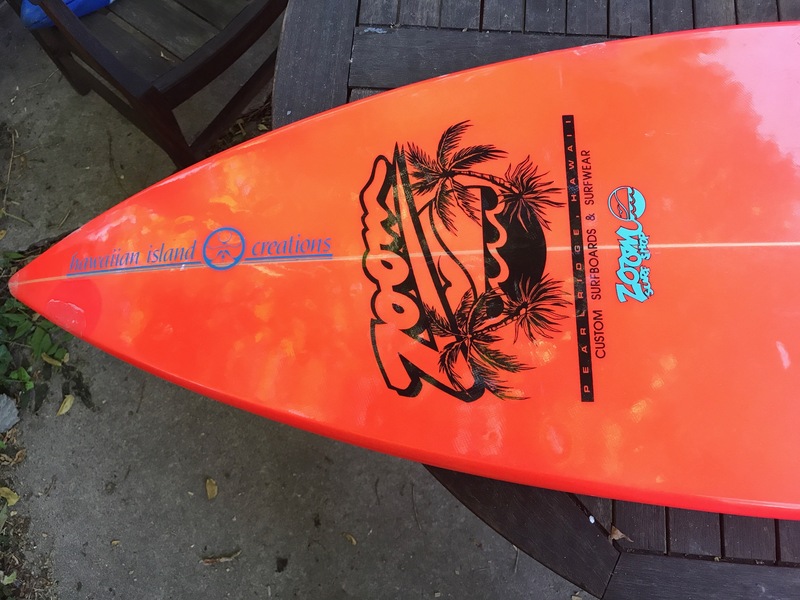 Last fall I picked up an unusual board from Craigslist for $70. 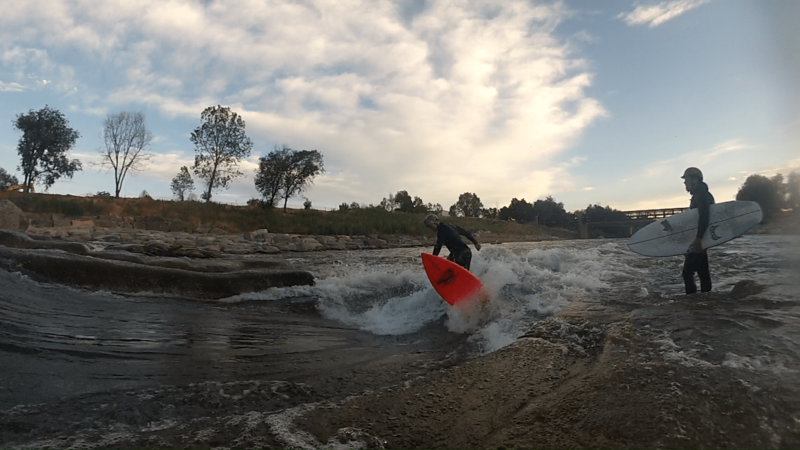 I wasn’t sure if it would work for river surfing, but it was cheap and pretty and I figured it was worth a shot. It was all dinged to hell, so I patched up everything I could. The work isn’t particularly pretty, but its watertight. The design is a little unusual; a step-down pintail with thick rails and a pretty well-rockered nose. 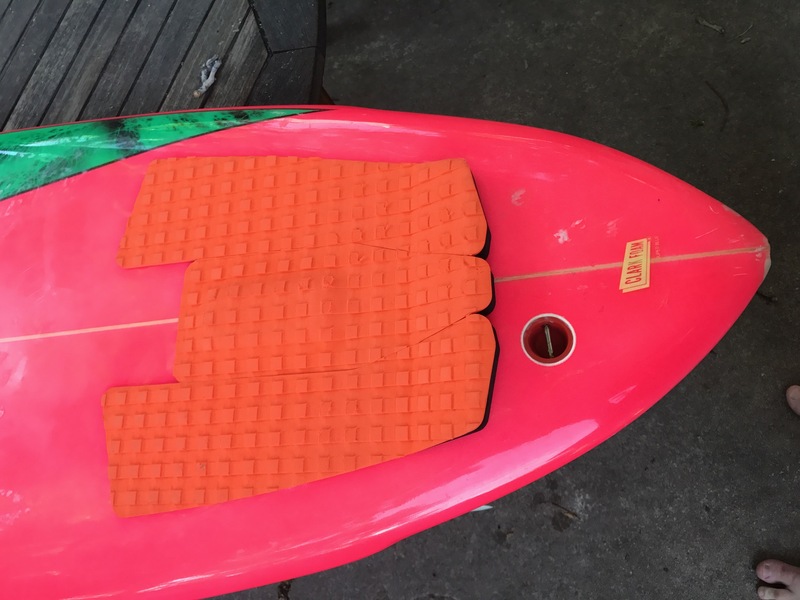 No dimensions on the stringer, but length is about 6’3″ and width 19″. As far as I can tell it’s essentially a big wave gun (or mini-gun) for a small person in 1995. 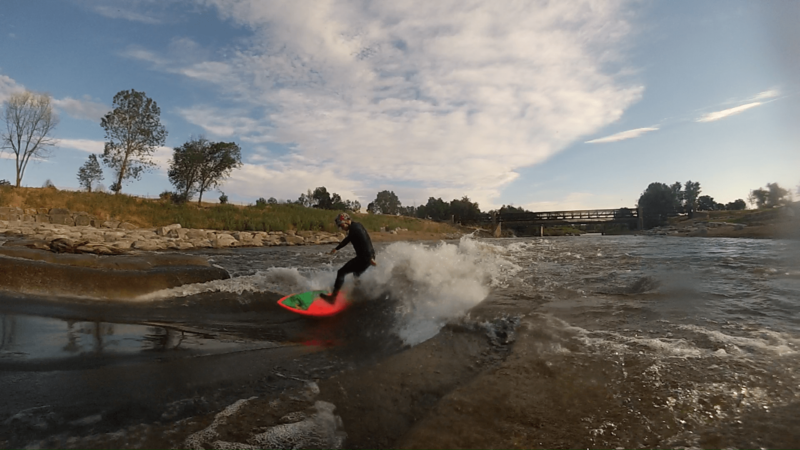 I’ve been surprised with how well it surfs River Run Park. The pintail means that edge-to-edge transitions are lightning quick, and the rocker allows you to drive down the wave without pearling. Since it was already all dinged up, I also don’t feel like I have to be to precious with it, though I’m certainly more careful than I am with foam boards. 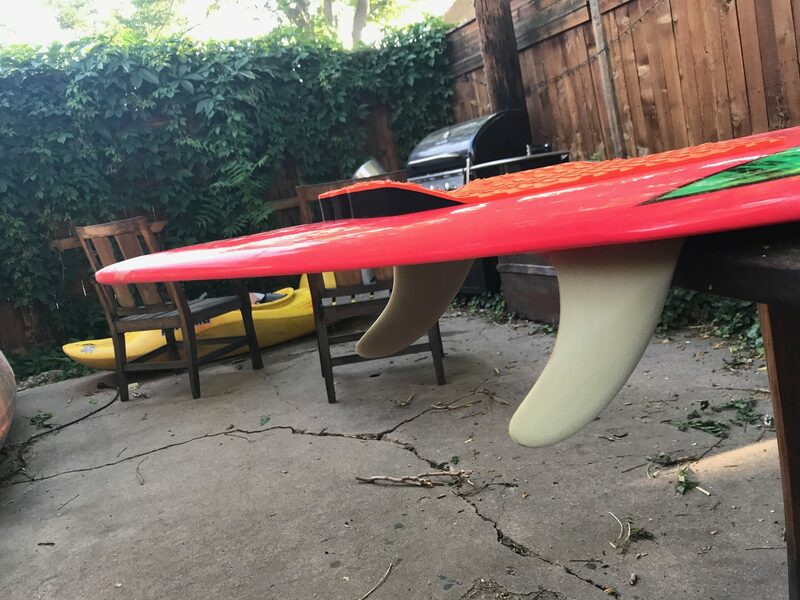 The glassed-on fins mean that I can’t swap them out for anything, though I was able to remove the center fin, which is in a traditional longboard box. 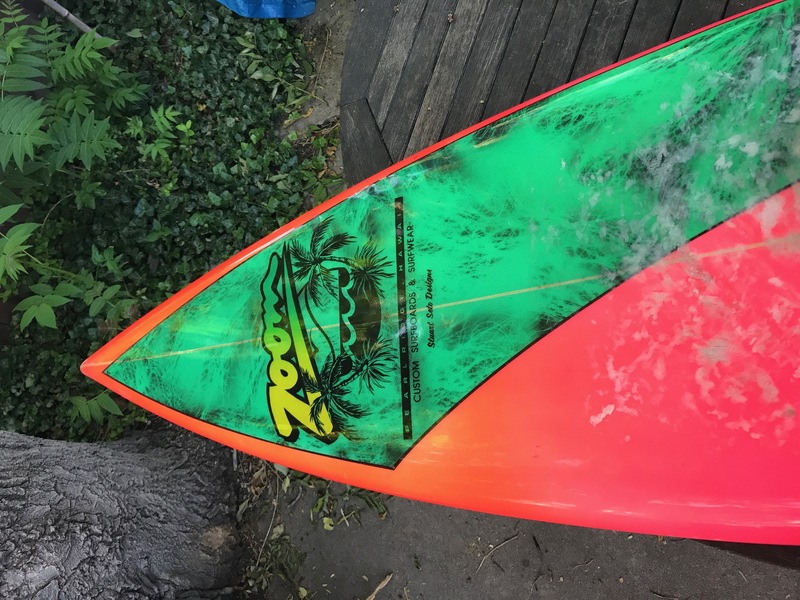 No additional shaper details on the stringer, though it looks like it was made for the Zoom Surf Shop in Pearl City, Hawaii. Another line says “Stuart Seto Designs.” Some googling turned up a teacher named Stuart Seto in Honolulu, but not much else. If you know any more about the board or the shop, email me.